Not eager to hunt and peck on a keyboard? Google Handwrite is here: the search engine's mobile pages will now let you draw letters on the page to conduct searches with the writing method you learned before this whole computer fad took hold. There's no special plugin required -- it's just the flick of a settings switch. As long as you've got an Android 2.3 or later phone, an Android 4.0 tablet or an iOS 5 device of any sort, you can immediately remind yourself of just how much you've forgotten about handwriting since elementary school while you're searching for the local sushi restaurant. Google Handwrite lets us scribble our way through mobile searches (video) originally appeared on Engadget on Thu, 26 Jul 2012 13:53:00 EDT. Please see our terms for use of feeds. 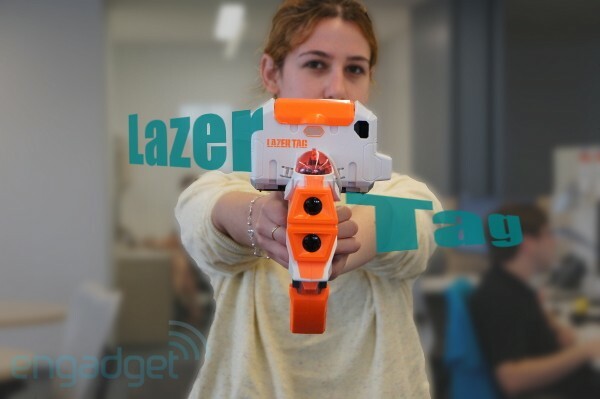 Hasbro Lazer Tag hands-on (video) originally appeared on Engadget on Thu, 26 Jul 2012 12:40:00 EDT. Please see our terms for use of feeds. ASUS continues to update its VG monitor series, and this time it's got something a little more impressive than an integrated IR transmitter. According to FlatpanelsHD, the VG278HE has knocked through the 120Hz barrier that most monitors come up against. The 27-incher can be configured to a buttery smooth 144Hz for 2D and 3D gaming, while inputs include HDMI, dual-link DVI and VGA. The monitor also supports NVIDIA's 3D Vision 2 -- but you'll have to buy the rest of the parts separately. We've reached out to ASUS about pricing and availability, but until we hear more, you'll just have to imagine those breezy refresh rates. Update: ASUS told us we can expect to see the display hit shelves sometime in Q4, but noted that pricing has not been finalized. 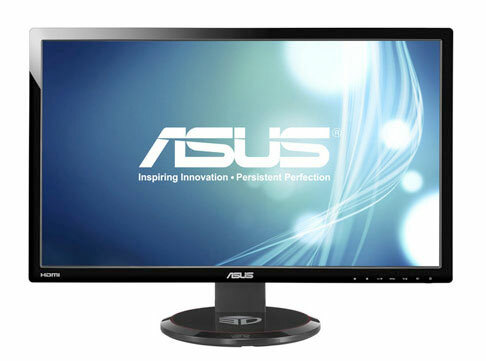 ASUS breaks through 120Hz refresh rate with VG278HE gamer monitor... refresh originally appeared on Engadget on Thu, 26 Jul 2012 18:44:00 EDT. Please see our terms for use of feeds. This post originally appeared at Movoto. Once again, the time has come when we’re all wishing that we too had the requisite skills to attend the biennial sweat-inducing athletic event of colossal proportions, or, what we common folk know as the Olympics. We may not be able to transfer magical athletic powers to you, but we can suggest a way to relive the grandeur of past Olympics. Have you ever wondered what it would be like to live in one of these supposed hubs of drugs and lust? Here Movoto Real Estate gives you a rundown of these former glory towns and how they’re faring in their afterlives. 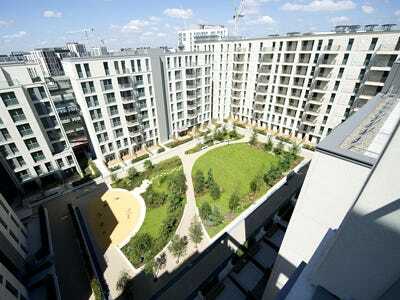 For the 2012 London Olympics, competitors boarding at the $1.5 billion Village will enjoy an entertainment lounge, cutting-edge communications facilities, and large parks. Despite its hefty price tag, however, London’s Olympic Village contains sleeping quarters more fit for college students than the world’s greatest athletes (which will be beefed up with kitchens, new flooring, and other amenities for post-Game residents). Once the temporary home to nearly 3,000 athletes, Vancouver’s Olympic Village consists of 22 sleek, modern structures built on a stretch of land that was formerly an industrial eyesore. 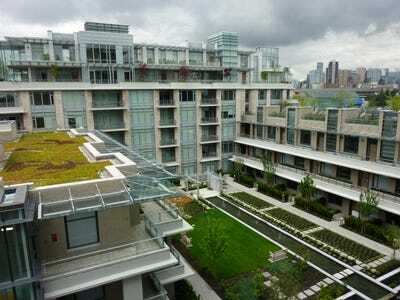 Now known as The Village on False Creek, the condos and apartments attract individuals interested in living sustainably—and who are willing to cough up $300,000 or more for one of these cribs. Beijing’s Olympic Village boasted first-rate athletic facilities for extreme competitors, while tree huggers enjoyed gardens on their roofs and toilets that used greywater (don’t worry, this isn’t the same as sewage water). The site has since been converted to upscale apartments that cost around $750,000 a piece — a substantial price tag compared to other nearby residences. Just as were starting to get cozy with the still vastly unavailable XQD format, the CompactFlash Association is back with version 2.0 of the spec, which it says could provide transfer speeds of up to 8 Gb/s (1,000 MB/s). You'll need to have access to a PCI Express 3.0 interface in order to take advantage of that throughput, however -- a boost from the 5 Gbps offered with the previous-gen solution. XQD 2.0 is still under development, with Sony footing the bill, and the organization is welcoming "additional participation" as it works to refine the standard. There's no saying exactly when we'll start seeing devices that employ the new tech, though CFA is aiming to make the spec available "in the second half of 2012." Cards that utilize the new format will enable video capture at higher bandwidth that the SD and CF media of today, and while we seem to be managing just fine with the current stock for capturing 1080p, faster storage will certainly be welcome in the future, once 4K, and perhaps even larger formats, make their mainstream debut. CompactFlash Association develops XQD 2.0 spec, promises up to 8 Gbps throughput originally appeared on Engadget on Wed, 25 Jul 2012 20:59:00 EDT. Please see our terms for use of feeds. While hardware manufacturers like Sony and Vizio have been hard at work making new Google TV devices, the folks in Mountain View have been in the lab cooking up new software features for the platform. We got to speak with Google TV's VP of Product Management Mario Queiroz today, and he shared a couple of tasty tidbits with us. Firstly, he informed us that there's now a New Releases section in GTV's listings, which makes it easier than ever to find the latest and greatest movies. Additionally, it turns out that GTV's taking a page from the Nexus Q and YouTube Remote playbooks to let users control YouTube videos on the big screen from their phones and tablets. Essentially, you'll be able to bring up a video on your mobile device and have it populate on your TV with the tap of a finger. However, unlike Apple's AirPlay -- which delivers a similar UX by streaming video from a mobile device to an Apple TV -- Google's tech simply has your Google TV device stream the video directly from the web. Naturally, Mario wouldn't dish out any more details about new feature, nor would he say exactly when this functionality will be pushed out to the public, but rest assured we'll let you know when it does. 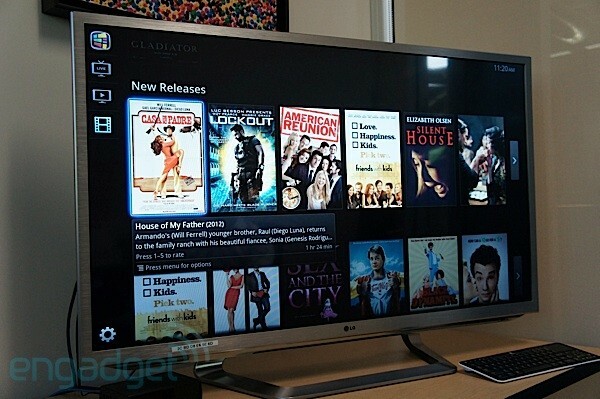 Google TV now lists movie New Releases, to let users control YouTube vids from phones and tablets originally appeared on Engadget on Wed, 25 Jul 2012 21:39:00 EDT. Please see our terms for use of feeds. Solar may be the green energy source that's been hogging the headlines lately, but there are other fossil-fuel free ways that can help meet society's electrical needs. One of these is tidal power, and the US is set to start harnessing the ocean's electricity-generating potential this summer with the TidGen Cobscook Bay project -- the first such commercial project in the States. 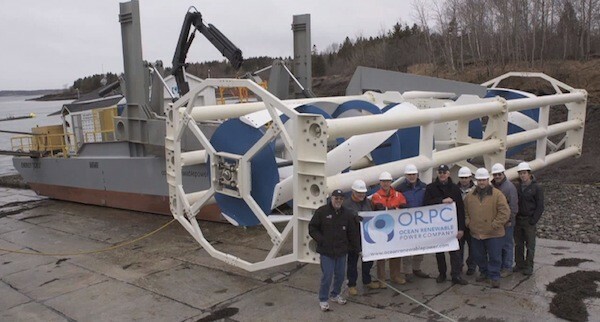 Located just off the coast of Eastport, Maine, turbines will be placed in 50-100 feet deep water to take advantage of the 100 billion tons of water that flow in and out of Cobscook Bay each day. When the project goes live, it'll feed into the public power grid and generate enough juice to power between 75 and 100 homes, and the plan is to eventually install enough turbines to generate 3MW of power -- which should cover the needs of over 1,000 homes and businesses. There's more info, plus plenty of political self-congratulation in the source below. US launches first commercial tidal power project this summer, Maine to reap moon's gravitational benefits originally appeared on Engadget on Wed, 25 Jul 2012 23:10:00 EDT. Please see our terms for use of feeds. There are plenty of design tools out there from SketchUp to Autodesk that can be used to create 3D-printable models. But none are really created from the ground up with additive manufacturing in mind. That's where 3D Systems thinks it has an advantage in the crowded CAD market. Cubify Invent, obviously from the makers the Cubify 3D printer, is a beginner-friendly design tool for Windows that lets you quickly and easily spit out your creations in colorful ABS plastics. Those familiar with other CAD tools should have no problems picking up Cubify Invent, while true n00bs can use the included tutorials to learn the ropes. You can download the app at the source link for $50, or just give it a test run as a free trial. PR is awaiting you after the break. Cubify Invent: affordable design tool created just for 3D printing originally appeared on Engadget on Wed, 25 Jul 2012 09:44:00 EDT. Please see our terms for use of feeds. 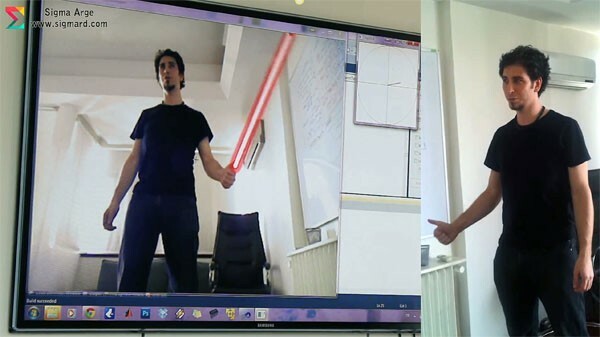 Sigma R&D has won first prize in a gesture challenge to show just how much more talent -- like sign language translation and light saber fun -- can be unlocked in a Kinect. Normally the Microsoft device can only scope body and full mitt movements, but the research company was able to track individual fingers with a Kinect or similar sensor, plus its custom software, allowing a user's hand to become a more finely tuned controller. To prove it, the company introduced a virtual lightsaber to a subject, tracking his swordsmanship perfectly and using his thumb extension to turn it on and off. The system even detected when a passing gesture was made, seamlessly making a virtual transfer of the weapon. The same tech was also used to read sign language, displaying the intended letters on the screen for a quick translation. The SDK is due in the fall, when we can't wait to finally get our hands on a Jedi weapon that isn't dangerous or plasticky. To believe it for yourself, see the videos after the break. Sigma R&D shows Kinect sign language and Jedi savvy to win gesture challenge (video) originally appeared on Engadget on Wed, 25 Jul 2012 10:57:00 EDT. Please see our terms for use of feeds. 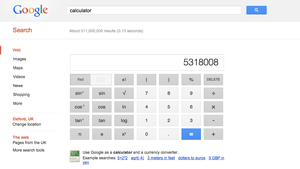 Google's search-based calculator is a bit of a God-send when it comes to impromptu math, but now the Big G has gone and extended its functionality by rolling out a full-on, 34-button scientific calculator. It's got everything you really need in a calculator, numbers aside: trigonometric functions, logs, powers, pi, Euler's number and even factorials (that's the exclamation point, if you dropped out of math classes early). 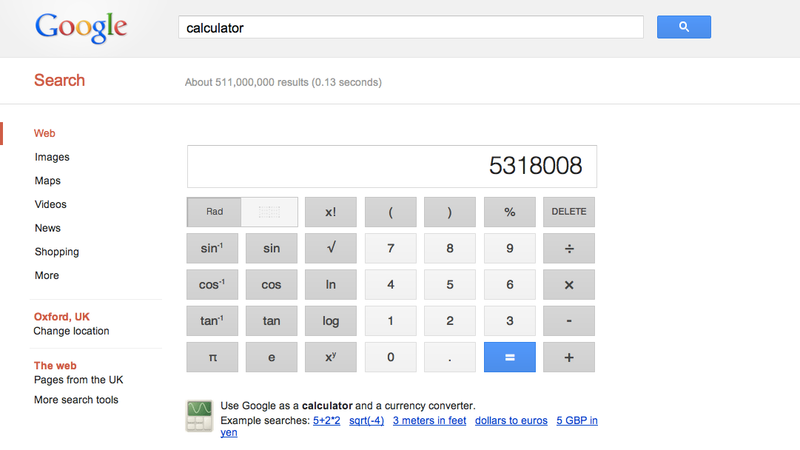 Just type in any calculation—something as simple as 2+2 will do—and up it pops. If your company doesn't have a camera with WiFi sharing somewhere in your lineup, many will say you're not even in the photography game. 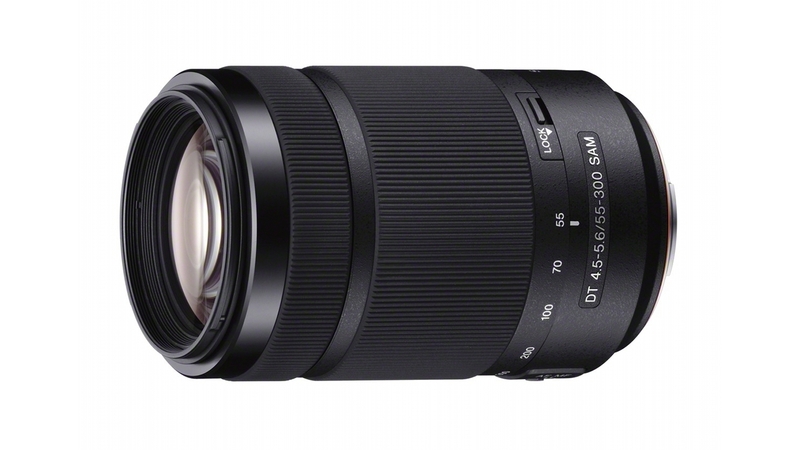 Fujifilm is definitely playing: welcome the FinePix F800EXR, its first camera with wireless sharing as part and parcel of the experience. Its centerpiece is a free Photo Receiver app for Android and iOS devices that will catch as many 30 images at a time from an ad hoc WiFi camera link. The matching (if unceremoniously named) Camera Application can return the gesture by geotagging shots as well as finding existing photos on the map. Fujifilm will even pre-Instagram the photos through six new on-camera filters for those who can't stand posting images online without at least some Lomo or tilt-shift effects thrown in. As for the actual camera part of the camera, Fujifilm is keeping afloat in the competitive waters with a 16-megapixel, CMOS-based EXR sensor that can widen the dynamic range or lower the noise if sheer resolution isn't all that vital. 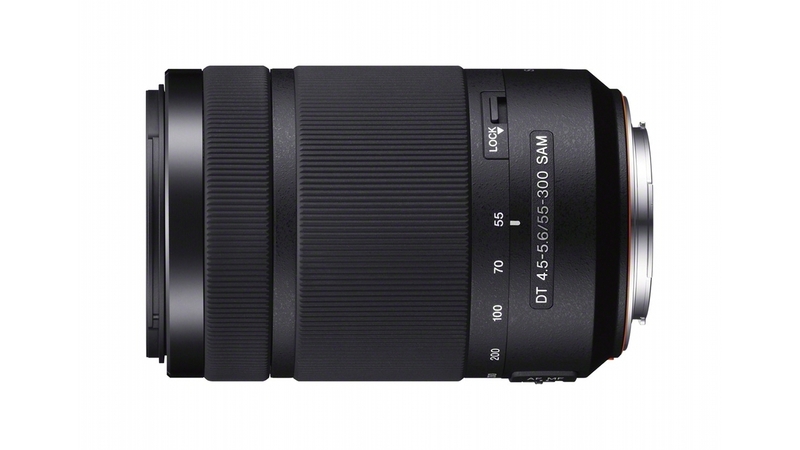 An equally noteworthy 20x (25-500mm equivalent) lens out in front will zoom in a lot closer than any phone camera -- well, most of them. We're otherwise looking at the technology we'd expect in a point-and-shoot of this class, such as full-resolution burst shooting at up to eight frames per second, 1080p video and a RAW mod! e for im age quality sticklers. Stores should have the F800EXR in August for about $350, or about as much as the Galaxy Nexus that just might serve as its companion. 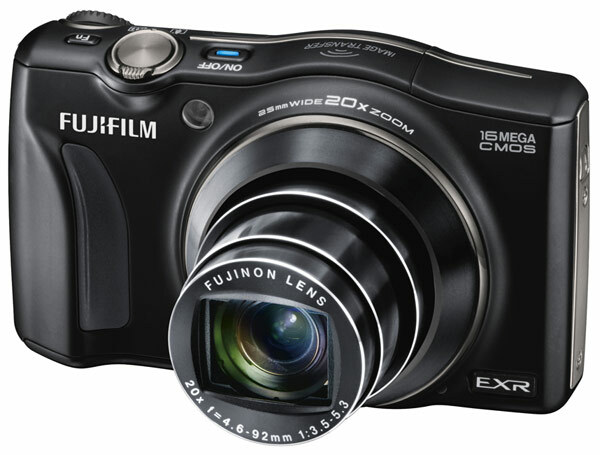 Fujifilm unwraps FinePix F800EXR camera with wireless sharing to Android, iOS originally appeared on Engadget on Wed, 25 Jul 2012 01:00:00 EDT. Please see our terms for use of feeds. As British readers bang their heads on desks, and LTE remains something perpetually happening "next year," another island nation is very much on-board with the new tech. NTT DoCoMo, one of Japan's biggest mobile carriers, has announced it now has over 4 million LTE users, with the last million joining its 4G Xi (pronounced "crossy") network in the last month and a half. Speeds top out at an impressive 75 Mbps, with eight of its most recent releases -- including the Galaxy S III and the Optimus Vu -- compatible with the new network. NTT DoCoMo saw uptake growth double after launching the LTE-centric summer range. 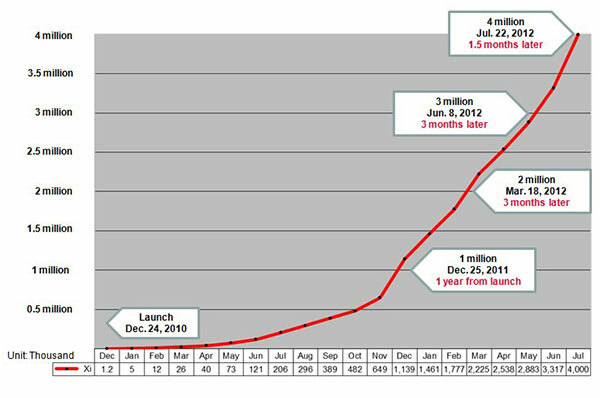 Japan LTE growth continues, NTT DoCoMo adds a million users in under 2 months originally appeared on Engadget on Wed, 25 Jul 2012 04:53:00 EDT. Please see our terms for use of feeds. VIA has only ever really had a dalliance with ARM; the VAB-800 might be a sign that it's willing to go steady for awhile. 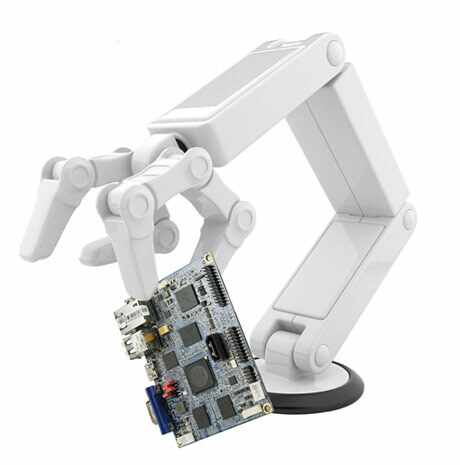 As the company's first Pico-ITX board with an ARM chip, the 800 stuffs up to a 1GHz, Freescale-made ARM Cortex-A8 and 1GB of RAM into a tiny, 3.9 x 2.8-inch board. Somehow, it still fits up to four USB 2.0 ports, mini HDMI, VGA and as much as 64GB of storage. The board's real tricks are its dual integrated graphics processors: the VAB-800 can independently steer two displays, just in case your in-car infotainment system can't be contained by merely one screen. You'll likely have to be a car designer or an industrial device maker to make an order, although the 5W power draw and support for Android, Ubuntu Linux and Windows Embedded Compact 7 should soon see the VAB-800 crammed into logic-defying spaces everywhere. VIA makes its first ARM-based Pico-ITX board, adds dual graphics for your in-car pleasure originally appeared on Engadget on Wed, 25 Jul 2012 05:49:00 EDT. Please see our terms for use of feeds. Wikipedia, a triumph of human effort, knowledge and collaboration... or so we thought. Turns out that along with the tens of thousands of brains regularly editing the online encyclopedia, hundreds of bots also patrol the virtual aisles keeping us in check. Some of the bots take care of the boring stuff -- organizing, formatting and other admin. Others correct the wrongdoings of wiki-villains, such as removing off-topic vandalism and naughty language. In the beginning, pages were even created by select bots, pulling data from various sources to create bare bones records for our keystrokes to flesh out. They do a pretty good job, but there are fears that a rogue bot will one day ruin a lot of hard work, although due to the privileges needed it would have to be an inside job. So now you know -- the machines not only have access to the largest single collection of human knowledge, but they edit it for us too. Don't say we didn't warn you. 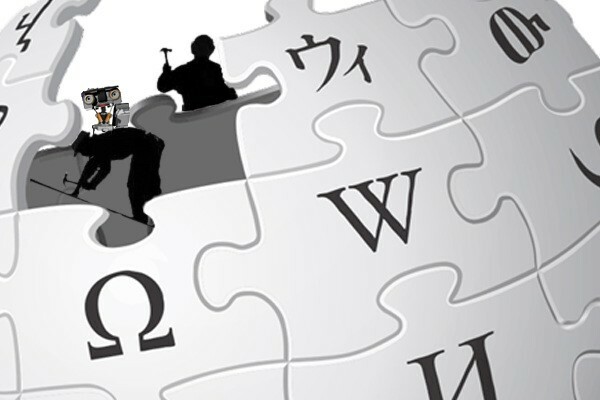 Bots edit Wikipedia, clean up your nonsense originally appeared on Engadget on Wed, 25 Jul 2012 07:01:00 EDT. Please see our terms ! for use of feeds. 5G WiFi, aka 802.11ac, aka muy rapido. We don't just want it in routers and laptops, we want it everywhere -- which is why Broadcom's firm date of Q1 2013 for its BCM4335 mobile chip is good news. The add-on belongs to a mainstream line of 40nm combo radios that handle WiFi (including regular 2.4GHz and 5GHz bands), Bluetooth 4.0 and FM, which means there's every likelihood it'll appear in numerous smartphones and tablets soon after production starts. Broadcom promises tripled transfer speeds, "dramatically" improved range and "six times greater" power efficiency compared to Wireless N, but then again, so does the competition -- and a company like Qualcomm may be able to deliver it in even fewer nanometers. Broadcom promises triple-speed 5G WiFi for mobiles in early 2013 originally appeared on Engadget on Wed, 25 Jul 2012 07:23:00 EDT. Please see our terms for use of feeds. Radio telescope operators have as much of a problem coping with the avalanche of data as getting that information in the first place. The Victoria University of Wellington is all too aware and is leaning on IBM for a powerful (if very tongue-tying) iDataPlex dx360 M3 compute cluster to sift through the deluge at the upcoming Murchison Widefield Array. Combined, the 4,096 array antennas probing deep space and solar atmospherics will have the Xeon-based cluster tackling signal data to the tune of 8GB per second, and about 50TB per day -- that's a Nexus 7's worth of astronomy faster than you can sneeze, folks. A 10Gbps network connection will feed the results to Perth to save scientists a roughly 435-mile trek. 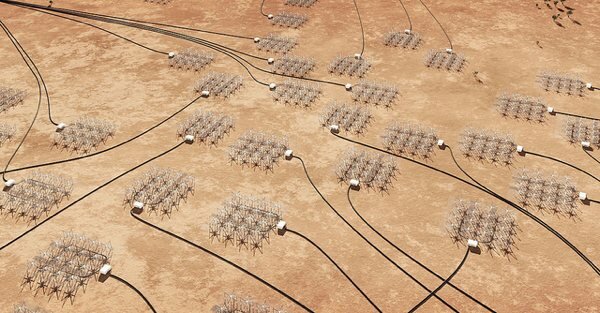 Construction is still in mid-stride, but the $51 million Australian ($52.2 million US) being spent on the Murchison array may be worthwhile if it helps solve the riddles of star formation and solar flares. IBM cluster powers Murchison Widefield Array's radio telescope, answers mysteries of the universe faster than ever (video) originally appeared on Engadget on Tue, 24 Jul 2012 20:54:00 EDT. Please see our terms for use of feeds. As cool as the Lytro camera's post-picture taking focusing technology is, it's hard to overlook some of the product's shortcomings -- not the least of which is the fact that the company only offered a Mac solution when the device launched earlier this year. Lytro has finally addressed that oversight, with the release of a desktop application for Windows. To use it, your system will need to be running Windows 7 with 2GB of RAM and at least an Intel Core 2 Duo CPU (you can find the full list of minimum specs in the source link below). 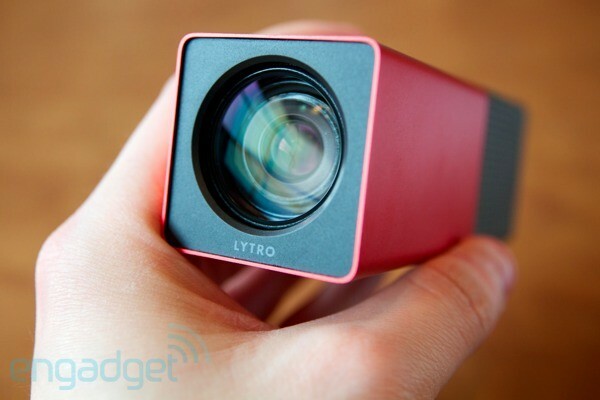 To celebrate the launch, Lytro's offering up free shipping on camera orders this week. Also new are the Lytro tripod mount and USB wall charger accessories. Lytro finally rolls out Windows desktop software, celebrates with free shipping originally appeared on Engadget on Tue, 24 Jul 2012 13:24:00 EDT. Please see our terms for use of feeds. 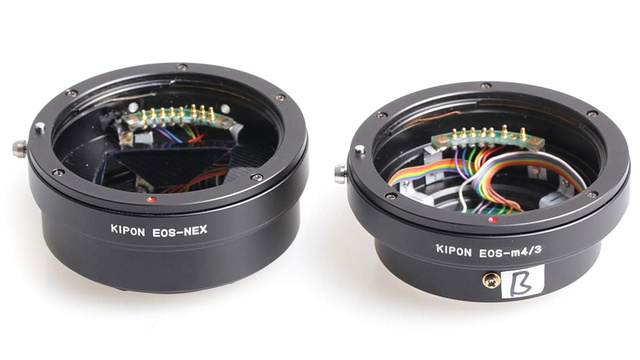 If you're not blown away by the selection of lenses available for your Sony NEX or Micro Four Thirds mirrorless camera, Kipon has just announced its own adapter that lets photographers use older Canon EF mount lenses, complete with electronic aperture control. Kipon's adapter isn't the first to offer such functionality—Metabones has one that's been on back-order for ages, but it only works with Sony's NEX mirrorless cameras. 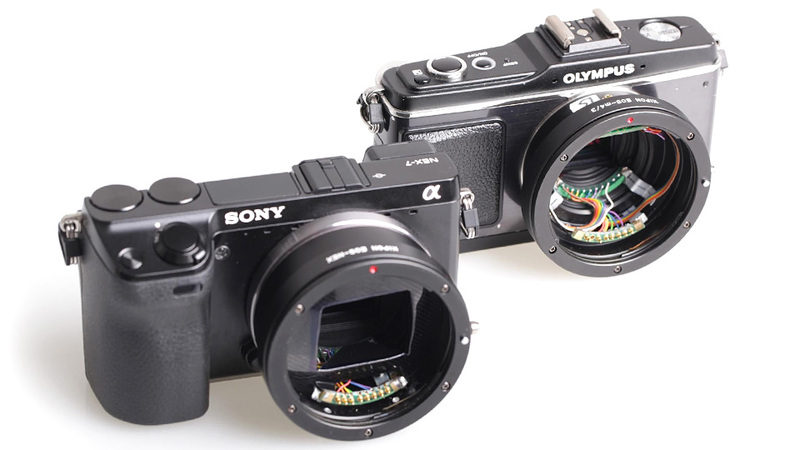 Kipon's offering will work with Micro Four Thirds cameras as well, like the Olympus PEN E-P2, but currently a lot of other questions are left unanswered. Will it support other electronic functionality like autofocus or image stabilization? Can Canon's newer EF-S mount lenses also be used (with some compromises)? And most importantly, when will the adapter be available and will it be cheaper than Metabone's $400 solution? 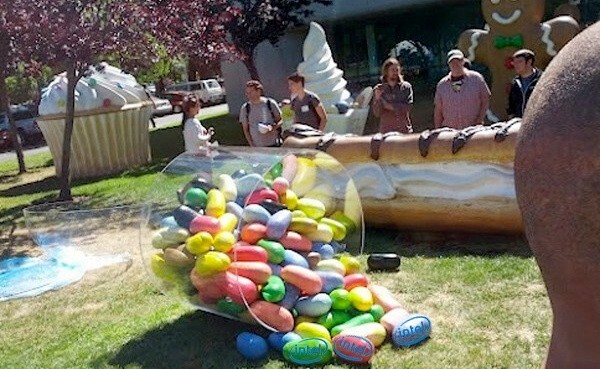 Intel has revealed that it's working on bringing Jelly Bean to its low-power Atom architecture. In an email to PC World, company rep Suzy Greenberg confirmed the project was ongoing, but didn't offer a timeline as to when the latest flavor of Google's mobile OS would arrive on a device. It's the same story regarding when Ice Cream Sandwich would turn up on Medfield-powered devices like the San Diego and its brethren. The report also pours cold water on hopes for Clover Trail powered Android gear -- saying that it's pencilled in as a Windows 8-only platform. Intel porting Jelly Bean to its Atom architecture, is in no hurry to tell you when it's done originally appeared on Engadget on Tue, 24 Jul 2012 12:26:00 EDT. Please see our terms for use of feeds. Comcast has just done the deed -- following a rumor on the matter, it's launching 305Mbps (down) / 65Mbps (up) Xfinity Platinum internet service in the highly populated Northeast division of the United States. For those who've been around a while, you may remember a time where one would weep upon finding out that Verizon's FiOS simply wasn't available at a desired location. Now, however, Comcast is doing its darnedest to rival fiber-to-the-home options with blisteringly fast cable service. In addition to its new flagship tier, the provider is also doubling the speeds of two of its existing internet speed tiers in certain markets at no additional cost. Specifically, Xfinity Blast! customers will now get download speeds of up to 50Mbps (formerly 25 Mbps), and Extreme 50 customers will now receive speeds of up to 105Mbps (formerly 50 Mbps). According to GigaOM, the ultra-desirable Platinum service will ring up at $300 per month, which is a full $90 more than Verizon's own 300Mbps FiOS option. Of course, this probably means that you'll hit your monthly cap a heck of a lot faster, but hey -- at least you'll get bragging rights. Comcast doubles broadband speeds 'in certain markets,' launches 305Mbps Xfinity Platinum service originally appeared on Engadget on Tue, 24 Jul 2012 12:12:00 EDT. Please see our terms for use of feeds. Widespread flooding in Beijing over the weekend is said to have killed at least 37. Unsurprisingly, after the floods the Chinese government wanted to keep negative messages under wraps. Beijing Municipal Committee Department of Propaganda: For public opinion guidance (舆论引导) concerning yesterday’s rainstorms, all media outlets, including central news organizations, must emphasize the power of human compassion over the elements. All Youth League committees and branches must coordinate positive reports and information on the storm in their commentaries, forum posts, and reprints of articles. Public Weibo accounts, accounts of individual Youth League members and newly registered accounts must all complete report forms. 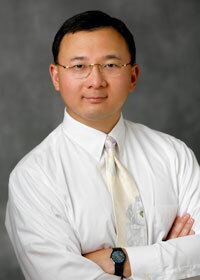 Beijing Municipal Office of Internet Propaganda Management: Remove Li Chengpeng’s essay “Totem”. The censorship didn't seem to work out completely, however, and posts criticizing Beijing's infrastructure soon went viral on Weibo, with many comments overtly attacking the Chinese government. 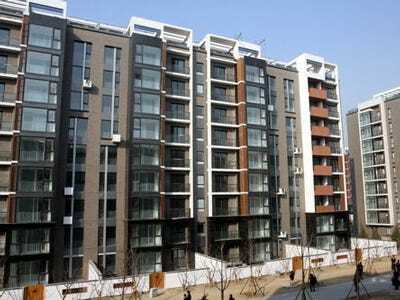 Even state media outlets like Xinhua and the Global Times were soon criticizing Beijing's underdeveloped sewage system. 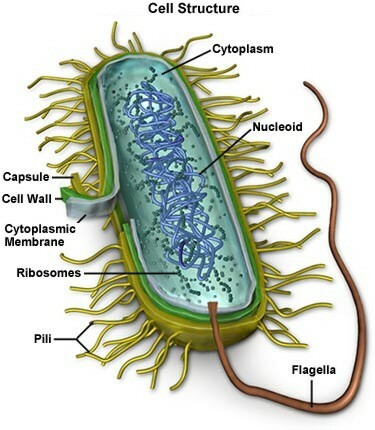 Everyone, meet Mycoplasma genitalium, the subject of many scientific papers, even more vists to the clinic and now the first organism to be entirely recreated in binary. Computer models are often used for simplicity, or when studying the real thing just ain't viable, but most look at an isolated process. Stanford researchers wanted to break with tradition and selected one of the simplest organisms around, M. genitalium, to be their test subject. They collated data from over 900 publications to account for everything going on inside the bacterial cell. But it wasn't just a case of running a model of each cellular process. They had to account for all the interactions that go on -- basically, a hell of a lot of math. The team managed to recreate cell division using the model, although a single pass took almost 10 hours with MATLAB software running on a 128-core Linux cluster. The representation was so accurate it predicted what M. genitalium looks like, just from the genetic data. And, despite the raft of research already conducted on the bacterium, the model revealed previously undiscovered inconsistencies in individual cell cycles. Such simulations could be used in the future to better understand the complicated biology of diseases like cancer and Alzheimer's. Looks like we're going to need more cores! in that cluster. If you'd like to hear Stanford researcher Markus Covert's view on the work, we've embedded some footage beyond the fold. Scientists create first computer simulation of a complete organism originally appeared on Engadget on Tue, 24 Jul 2012 09:41:00 EDT. Please see our terms for use of feeds.